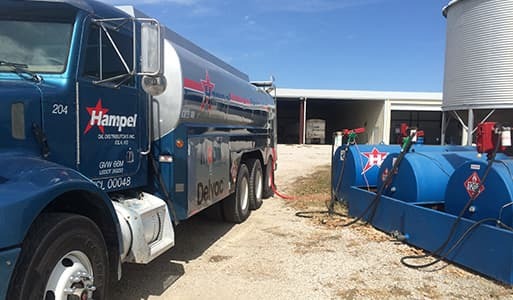 Hampel Oil’s mission statement is that our customers increase their business efficiency when they rely on us to manage their fuel and lubricant needs. Our KeepFull Program is paramount to us helping our customers accomplish this goal. To fulfill our mission statement, we ease the burden of worrying about your tank levels or possibly running out of product. Our KeepFull Program lets us manage your tank levels to allow you more time to manage your business. It puts the responsibility on us to monitor your tank level and schedule deliveries when they are needed, so you never run out of product.